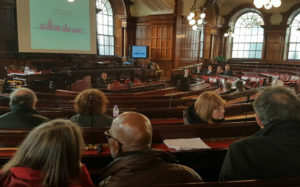 After a day of protests and a four-hour Town Hall meeting, controversial plans were approved for the construction of 51 homes near Calderstones Park. 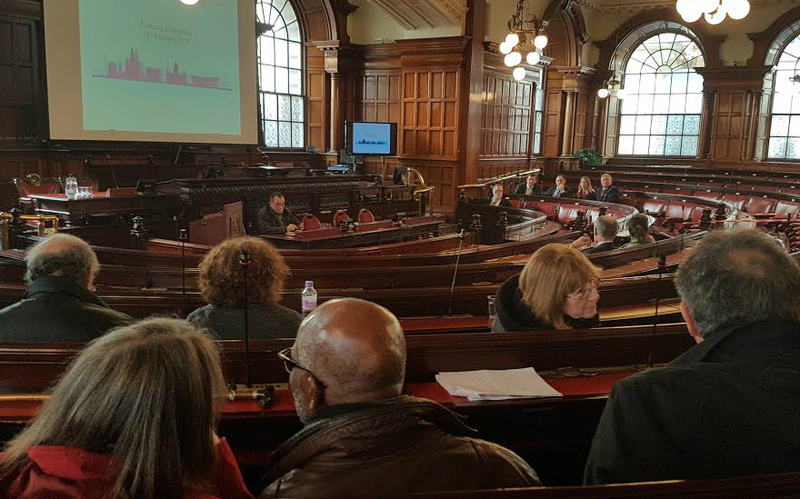 The decision was met with repeated chants of “shame, shame, shame on you” as Liverpool City Council’s planning committee voted 4-1 in favour of the Harthill scheme on Tuesday, with some people fearing the development could pave the way for more building on green spaces locally. The Redrow PLC housing project will involve the relocation of community and charity groups in the area, with facilities affected including the Calder Kids playground, Calderstones Miniature Railway and Beechley Riding Stables, which will be relocated to new premises. 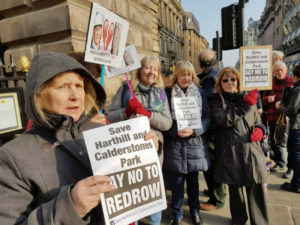 Crowds numbered in the hundreds at demonstrations near the Mossley Hill site and outside the planning meeting, with society members from ‘Friends of Harthill and Calderstones Park’ holding signs reading “Say NO to Redrow” and “Keep off the Grass”. Parents and pupils of Calderstones Comprehensive School attended both the protests and the council meeting, with their main concerns being the increase in traffic on Harthill Road during the building process, which some have said could be a significant health and safety concern. The fate of existing buildings within the development site are also contentious matters. Protester Caroline Williams told JMU Journalism: “Obviously the riding stable is a recreational facility and Calder Kids is an adventure playground for the disabled, and also the miniature railway – they are all things that are good for use. They’re all things that fit in to park use, whereas a housing estate doesn’t.